Did you know that sooner or later your car’s engine accessory drive belts, timing belts, and coolant hoses will dry out and crack? Over time, serpentine belts and radiator hoses require replacement, because they lose their ability to properly expand and contract. 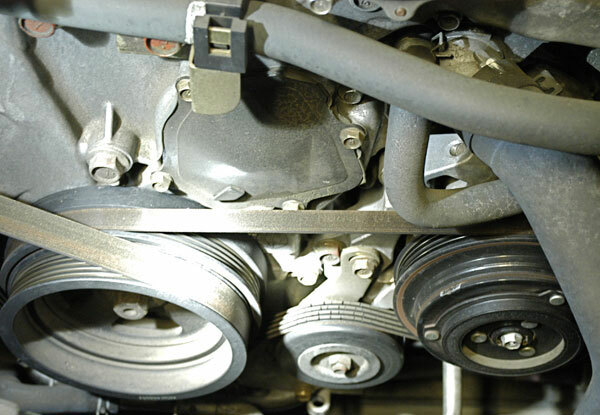 In the case of timing belts, teeth that keep the belt in place and functioning properly can snap off or the timing belt may become frayed and loose. One sudden malfunction of these relatively inexpensive but very important parts can have costly consequences. So, stop by your neighborhood Brickyard Automotive and we can help you avoid this kind of breakdown. In addition to car belts and hose replacement, we also provide a range of preventive car maintenance services, including oil changes, fluid flushes, and filter replacements. Our experienced mechanics can detect many potential belt and car hose problems with a simple visual inspection. Regular inspections, coupled with timely automotive belt and hose replacement in accordance with your vehicle manufacturer’s automotive maintenance schedule, will help protect against roadside breakdowns and expensive repairs.